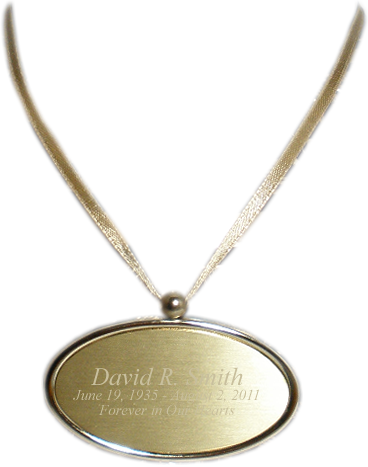 This nameplate is made of a heavy metal alloy with a brushed gold-tone finish and a raised border. Comes with a blue box and slender satin ribbon for hanging, as shown. Click on the tab Detailed Images to view the different engraving fonts. Although three lines of engraving are possible, the font size will be smaller to allow the extra line of engraving. 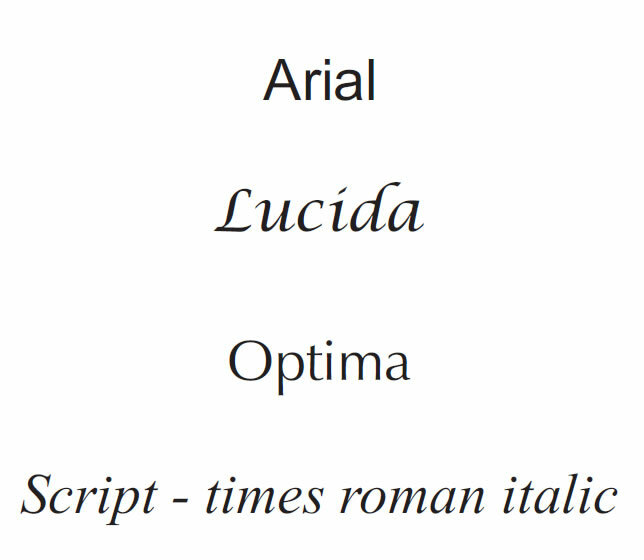 The third line of engraving should be no more than about 20-22 characters (letters/spaces/numbers). To make the engraving as big as possible, we suggest abbreviating months to 3-4 letters, i.e., September 22, 1935 - December 27, 2011 would be abbreviated Sep. 22, 1935 - Dec. 27, 2011. Dimensions: 2.6" L x 1.6 H"
Please allow 2-3 business days for engraving before item ships.